Beatles legend Ringo Starr is to make a special guest appearance in an episode of Cartoon Network’s The Powerpuff Girls. The Emmy-award winning series celebrated its 15th anniversary in November 2013, and is heading back to the small screen in a new CG special called Dance Pantsed. Dance Pantsed will premiere in the UK on Boomerang in June 2014, and features a voice cast including Catherine Cavadini as Blossom, Tara Strong as Bubbles, E.G. Daily as Buttercup, Roger L. Jackson as Mojo Jojo, Tom Kane as The Professor and Tom Kenny as The Mayor with a special guest appearance by Starr as Fibonacci Sequins, Townsville’s most famous flamboyant mathematician. 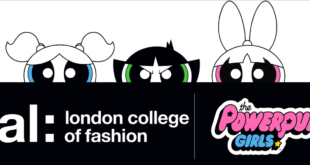 As well as lending his iconic voice to Sequins, Starr will also perform an original music video and song entitled ‘I Wish I Was a Powerpuff Girl’. In Dance Pantsed, Mojo Jojo kidnaps a mathematician, an opera singer and a badger to steal Chemical X and take over Townsville. But when the Powerpuff Girls thwart his plan, he invents an evil video game called Dance Pants R-EVILution to control their minds and bodies. This leaves it up to The Professor to visit his dark dancing past to save his girls so they can save Townsville.